Attorney Kristen Scanlon founded Pilates with Purpose Inc.
For the past five years, attorney Kristen Scanlon has made a name for herself by helping clients navigate the labyrinth that is Boston’s zoning, permitting, and food and liquor licensing process. Now she’s helping transform the world of traditional networking with Pilates with Purpose Inc. — holding bimonthly events at which women work out and then mingle. All proceeds from the events go to charities. 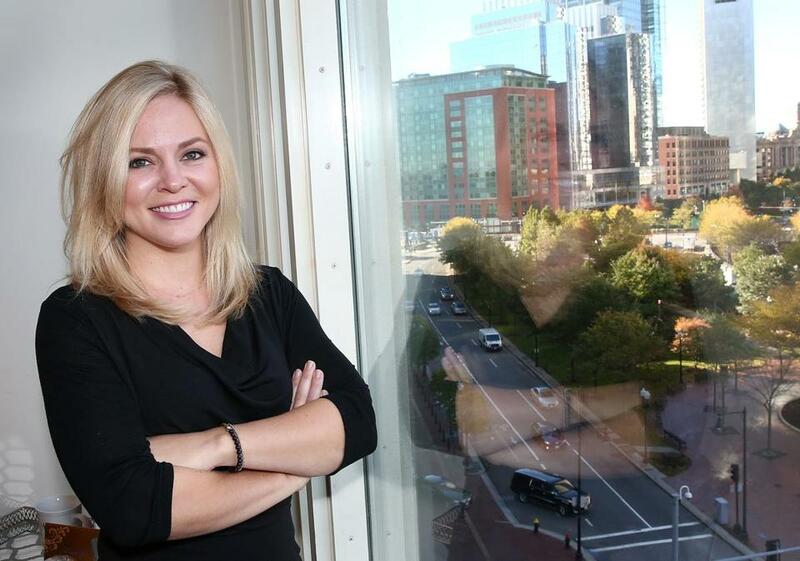 Scanlon, 32, recently spoke to the Globe at her Rowes Wharf office. 1. Scanlon grew up in upstate New York, the youngest of five sisters, with dreams of law school since she was 14. She graduated from New England School of Law in 2009 and quickly became disillusioned with her job at a small insurance defense litigation firm, dealing mostly with auto accident claims. It was the late John Noonan, co-owner of Clarke’s at Faneuil Hall — where Scanlon often went for lunch — who suggested she get into licensing and permitting work. 2. After a two-year stint at zoning and permitting-specialty firm McDermott, Quilty and Miller, Scanlon launched her own practice, Scanlon Law, in 2013. Networking in the male-dominated field presented some challenges for Scanlon — at events she often was pegged for a secretary. When her friend (and pilates instructor) Hanneke Antonelli asked if she knew of any networking events in the area geared toward young professional women, Scanlon suggested they start their own. In 2014, the duo launched Pilates with Purpose. The next event is scheduled for December. 3. Scanlon was inspired by her family to give back to the community. Her father, a former police captain, is a second-generation funeral director and runs the family’s funeral homes in two small towns in New York. As business owners in the community, her father and late grandfather generously aided local charities. That’s why she wanted Pilates with Purpose to have a philanthropic component, with the $25 entry fee going to community organizations. The events take place in different donated spaces around the city. About 850 women have participated so far, raising about $15,500 for 15 Boston-based charities. 4. Scanlon has been juggling responsibilities outside her job description since she was 14, when she worked her first job as a nursing home receptionist. 5. Scanlon said there is still a place for traditional networking, but one tradition she’d like to do away with is the five-year plan question.